They say that breakfast is the most important meal of the day, which is a shame because it’s also the meal that we often rush through without much thought. For me, if I don’t know what I’m going to have for breakfast the night before, I’m pretty likely to grab a snack bar because the last thing I want to do is think first thing in the morning — I need something quick to wake me up and get me going. Having healthy options on-hand makes my morning routine so much simpler. This is the third winter that I’ve made these Meyer Lemon Vanilla Muffins — I make them during Meyer lemon season and I inevitably forget to share the recipe until that (way too short!) season is over. In the past, I’ve made them with eggs, milk and yogurt, but this time I made them vegan. The vegan version is a little bit more dense, but just as delicious and they’re pretty much the perfect breakfast muffin because there’s no mistaking these little guys for cupcakes — they’re not too sweet and they’re nice and filling, thanks to the addition of white whole wheat flour. Make a batch, freeze them for later and you have a quick breakfast on-the-go — I like mine with a spoonful of almond butter smeared on top. While my original recipe calls for dairy yogurt, I made these with Silk Dairy-Free Yogurt Alternative. Yes, this exists! And it’s creamy, delicious (and this is coming from someone who’s extremely picky when it comes to yogurt!) and each serving has 6 grams of plant protein. As you’d expect from Silk, it’s made with real fruit and no artificial flavors or colors. 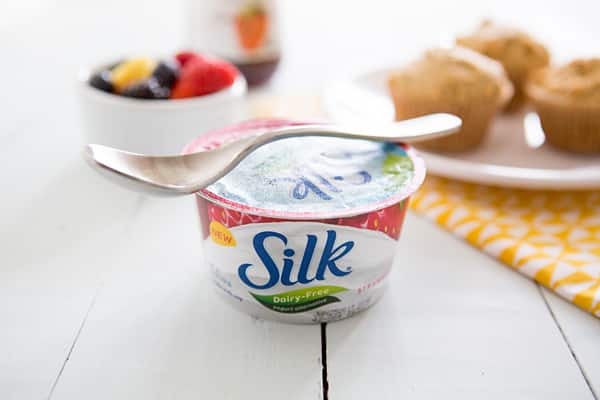 So really, a cup of Silk Dairy-Free Yogurt Alternative with some fresh fruit or granola is a great breakfast option itself. 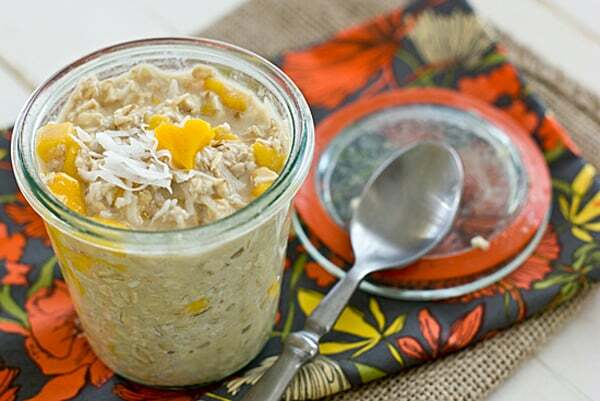 Coconut Mango Overnight Oatmeal // This tropical overnight oats recipe can be eaten hot or cold — Vanilla Silk Dairy-Free Yogurt Alternative can be substituted for the almond milk to make it even creamier. 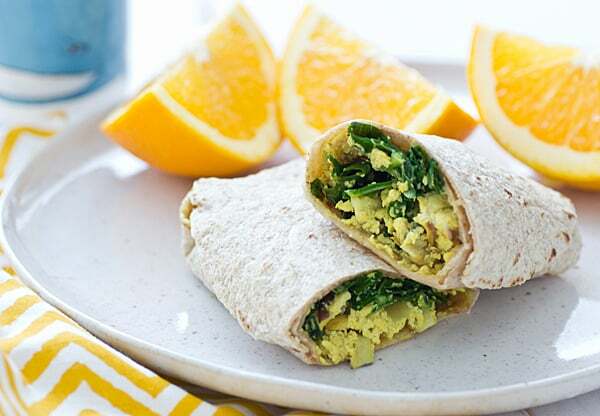 Freezer-Friendly Greens and Tofu Scramble Wraps // For those of you who prefer savory breakfast options. 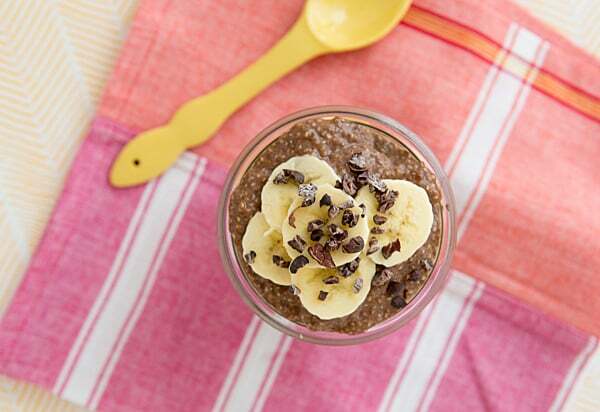 Chocolate Peanut Butter Chia Breakfast Parfaits // Finally, a pudding that’s acceptable for breakfast consumption. Thank you, chia! 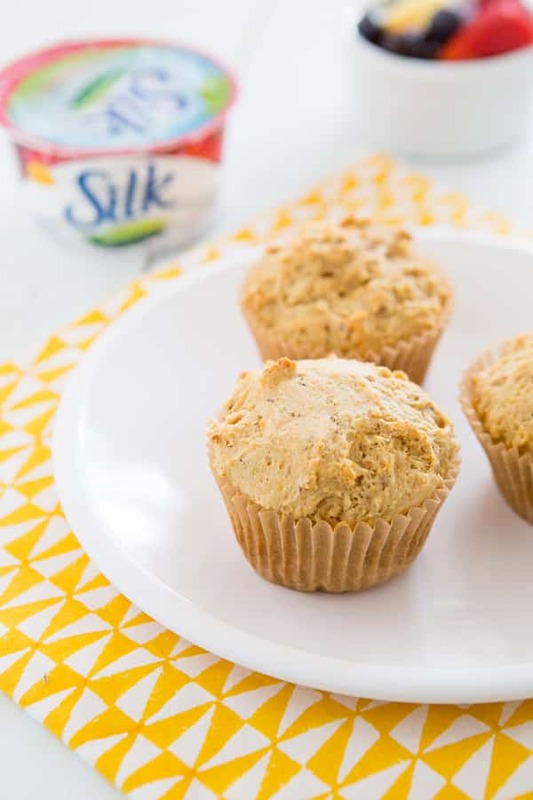 Meyer lemon adds a lovely citrus flavor to these freezer-friendly vegan muffins. Preheat the oven to 350ºF. Spray a muffin tin with cooking spray or fill it with 12 paper liners. In a small bowl, whisk together the flaxseed and water. Set aside. Whisk together the flours, baking powder, baking soda, and salt in a large bowl. Once the flax mixture has thickened, add the lemon juice and zest, Silk Dairy-Free Yogurt Alternative, sugar, almond or cashew milk, coconut oil and vanilla extract and stir to combine. Slowly pour the wet mixture into the dry mixture. Stir the batter until everything is incorporated, being careful not to over-mix. Divide the batter into the muffin cups. Bake the muffins for 15-18 minutes, or until a toothpick inserted into the center of a muffin comes out clean. To freeze: Cool muffins completely and freeze them in a large freezer bag or airtight plastic container. Before serving, thaw muffins overnight at room temperature or microwave them for 25-30 seconds. Find out more about Silk and get the latest news about new products and coupons by signing up for the Silk newsletter.